I have a theory about diy-ers. A common thread that ties us all together. It has nothing to do with talent. Or creativity. And it has everything to do with frustration. I think our diy’ing ways are born from frustration. sometimes even shoes. And dresses. And then we march on out to retail stores in search of the said thing that will fulfill our vision. And when that fails. When retail stores can’t deliver what we want, we go online. Hours and hours poured over websites and Pinterest. And when we turn up nothing, we have no choice. We have to diy it. So when the folks at Cutting Edge Stencils asked if I wanted to try out their new Paint-A-Pillow product, I jumped. I mean, talk about a frustrated diy-ers dream! There’s a great selection of patterns and colors to fulfill just about every vision. To start, the kit comes with everything you need. Including the surface on which to stencil. The pillow form fits perfectly. I started with the lightest color first, as recommended on the video tutorial. Followed by the darker color. 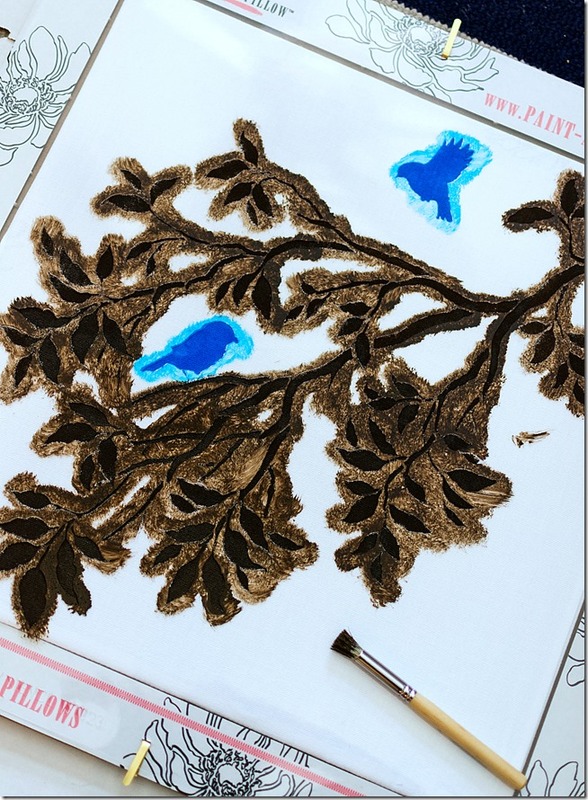 And I used the stencil brush provided for this particular pillow. The reveal. At which I always hold my breath. 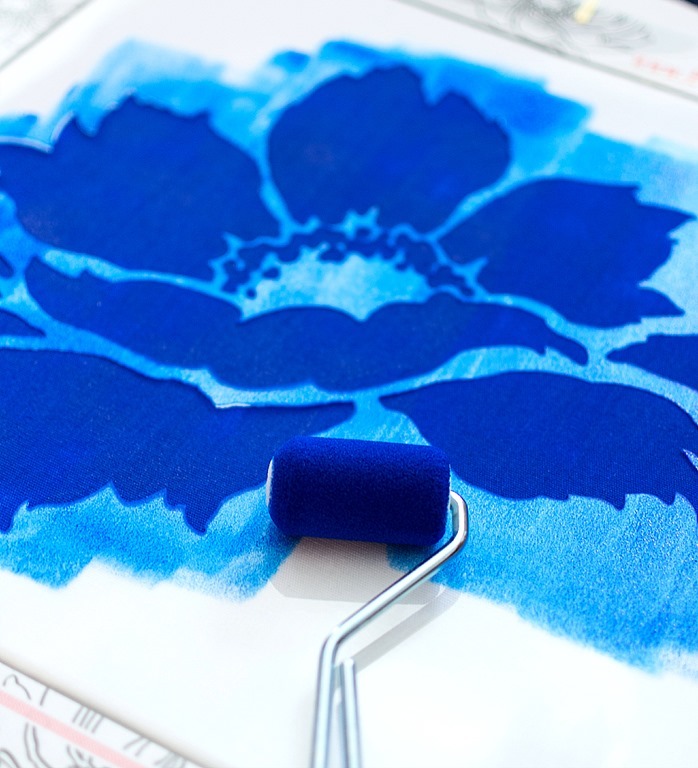 The single color flower design was even easier. And faster. Using the foam roller brush provided with the kit. Cutting Edge Stencils provided me with the Paint-A-Pillow stencil kit, but all opinions about painting pillows — and diy’ing — are my own! I need to do this. Great job Paint! These are gorgeous. these pillows are so pretty! love them and the color choices. Doggone it, knew should have gotten certain stencil at Michaels last week. Michaels was having 1/2 off all Martha Stewart craft supplies. 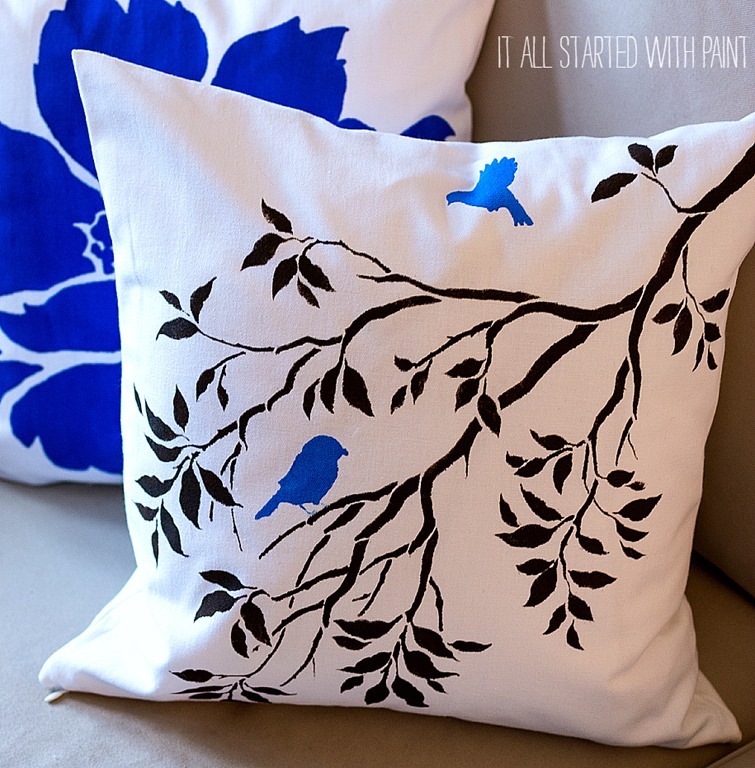 I found a stencil very similar to your bird/branches stencil..
Love how your pillows look, stunning, the flower pillow is so pretty with that blue flower. Really love how the black/blue is for bird/branches pillow. I”ve been wanting to make some new pillow covers and yours inspired me so much. You did awesome job of painting. How do you like your new pillows? Did you use them in your bedroom or living room or? Think it’s time for me to go back to bed, hopefully sleep. Was so fidgety earlier had to get up for while, not even reading was calming me down. Hope you have wonderful week. 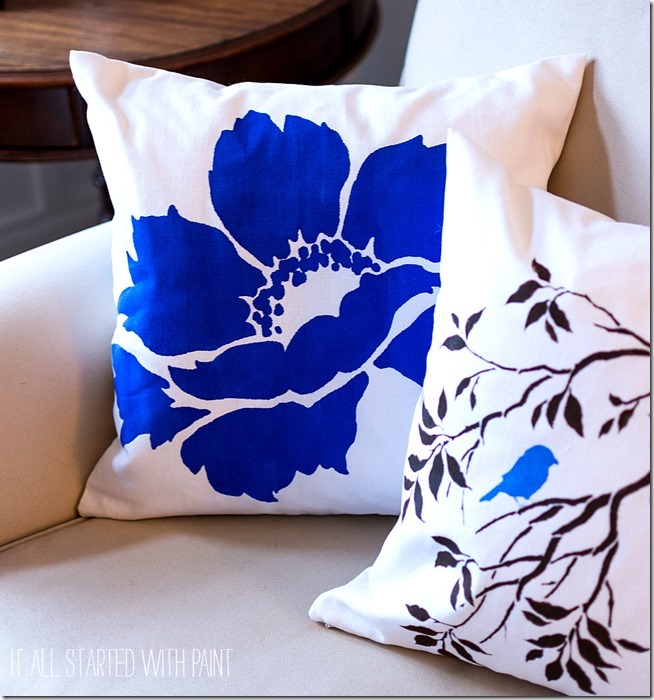 Show us photo where you have your new pillows? These are fab! The color pops, so fresh! Pinning!! Thank you for sharing this lovely idea. Love these! The colors are beautiful! Thanks for sharing at #inspirationmonday! These are gorgeous and so customizable!! Thanks for sharing! I may have to try stenciling fabric, looks quite simple! Best type of project ever! You just pick and choose and use the tools given to you. Love it and they look great. They are gorgeous. I bought some plain white pillows and I’m thinking about adding designs to a couple of them. 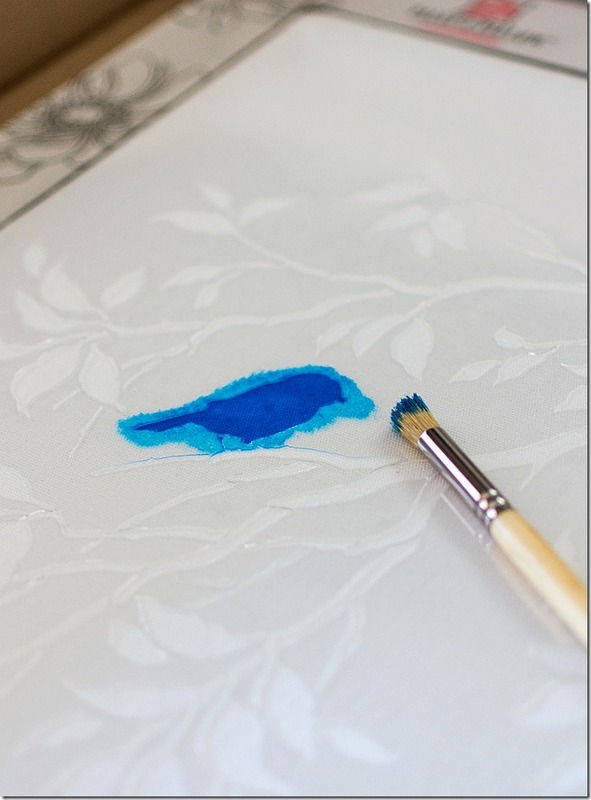 I never thought about stenciling, they turned out beautifully. These are fabulous. Thanks tons for linking to Inspire Me. You are so right! DIYing is born from frustration. I know how I want things and can rarely find what I’m looking for. I’m so thankful that I have the vision and ability to DIY and I love companies that make it easier to get things just the way we want them. 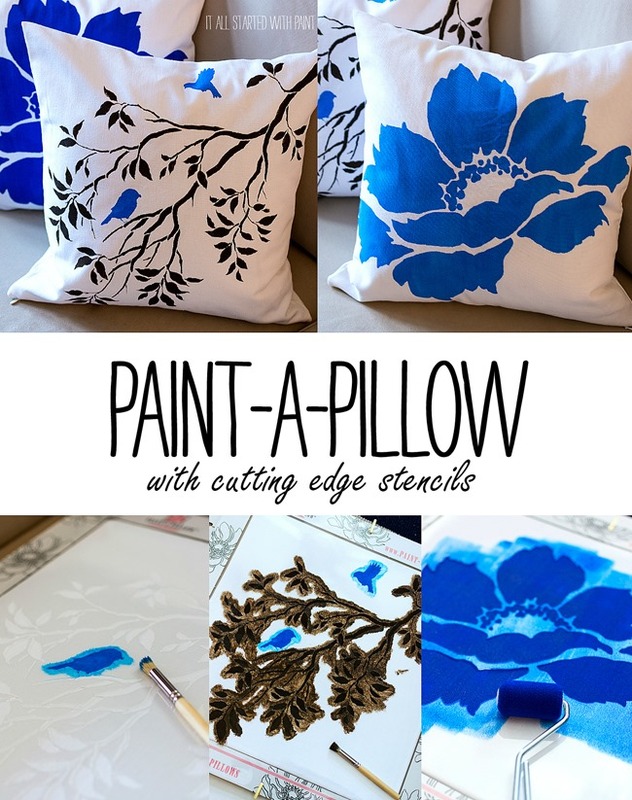 The Paint-a-Pillow stencil kit sounds awesome. It puts the DIYer in control and I love that. Your pillows are awesome. Oh I love this post! Yes, DIY-ing can be so frustrating! I love the pillows and the pattern and colors that you picked. Thanks for sharing! Hi, Linda ~ I’m visiting from the Work it Wednesday Link Party. I totally agree with you about the frustration that leads us to DIY it. 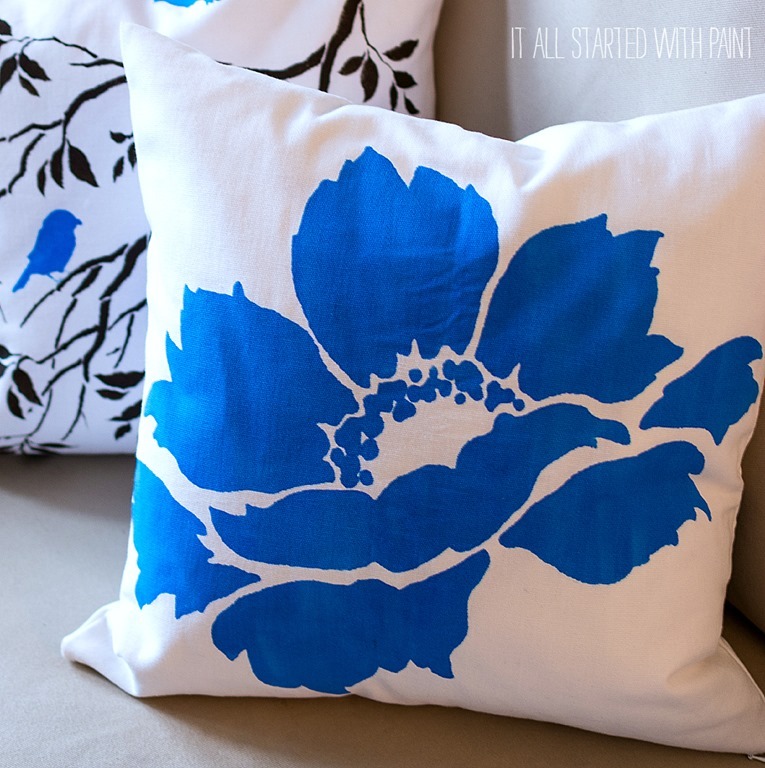 I love these pillow stencils! What an amazing idea! I’m so looking forward to trying these out. Thanks for sharing! Where to buy stencils, I just love how you have done these. 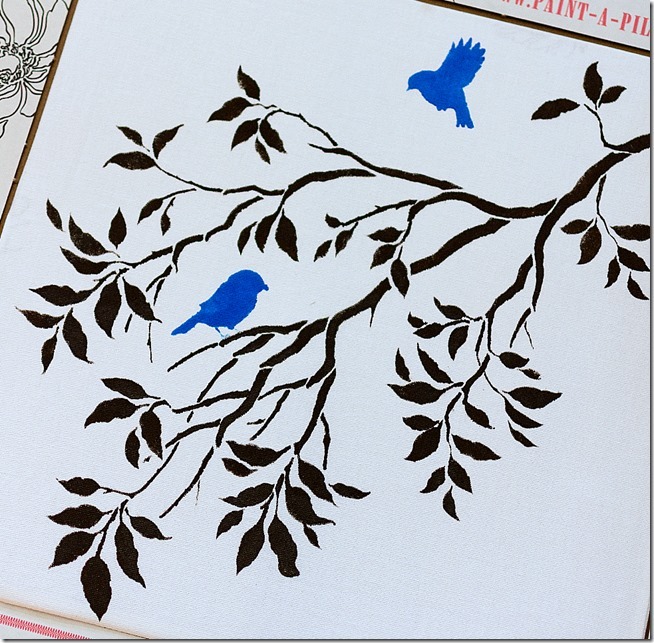 There is a link in the blog post for the place to buy the stencils. Where can you order the stencil kits please?